Water Soccer simply means playing football on water. It adds on to the challenges the players face especially in their speed when dashing on water. 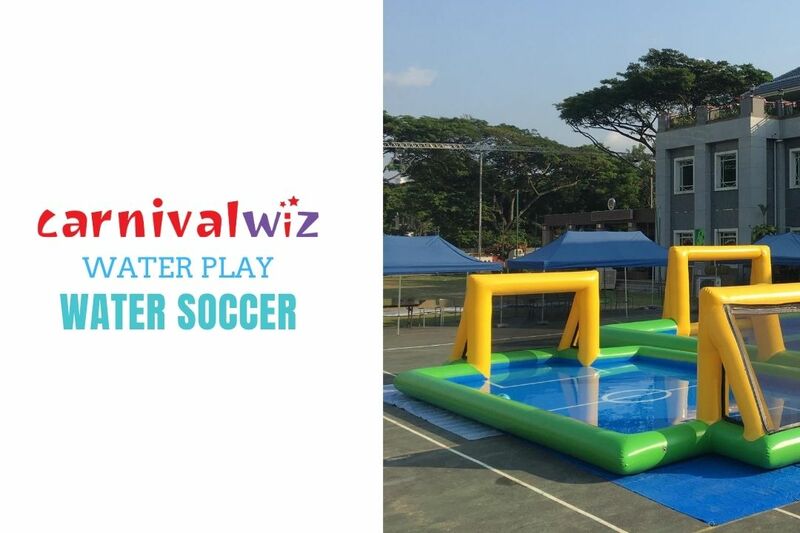 Generally, water is filled to heel-level into an inflatable water soccer field, and players will form teams and compete in a water soccer game, with rules similar to that of a typical soccer game. Maintain body temperature – Water helps to prevent body temperature from rising too rapidly. Challenging – Due to the natural restriction of water to body movements, you move slower. Safer – Risk of injury is reduced. It is portable, facilitates swift setup and close down, provides a safe enclosure for sporting activities. Play your favourite sport game wherever you want. Check out all our interactive stations for your event needs.